Both parties must appear at the County Clerk's Office with proof of age, proper identification and pay a license fee of $ 30.00. The license fee is non-refundable and includes two certified copies. 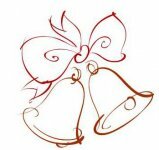 The marriage license application may be filled out and printed by clicking on the link below. Both the Bride and Groom need to fill out an application and bring them to the Clerk's Office. If either the Bride or Groom has been divorced within the last 6 months, a certified copy of the divorce decree must be presented when applying. You may print the application and bring it with you. When both parties appear and present the required documentation, a marriage license is issued and becomes effective immediately. 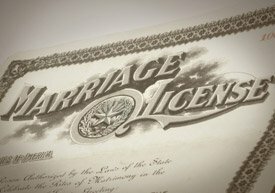 Marriage licenses may be used immediately upon purchase, but must be used within 30 days from the date of purchase at which time the license expires. Refunds and extensions cannot be granted. A license issued in Box Elder County may be used in any county in the State of Utah. Picture identification with the date of birth (i.e. driver's license) is required by all persons. A minor must obtain consent from a parent or legal guardian. A parent or legal guardian must give sworn consent in-person at the time of application and must have proper identification. If the parents of the minor are divorced, consent shall be given by the parent having legal custody of the minor as evidenced by an oath of affirmation to the clerk. If the parents of the minor are divorced and have been awarded joint custody of the minor, consent shall be given by the parent having physical custody of the minor the majority of the time as evidenced by an oath of affirmation to the clerk. If the minor is not in the custody of a parent, the legal guardian shall provide the consent and provide proof of guardianship by court order as well as an oath of affirmation. Individuals requesting a marriage license who are 15 years of age must provide a certified birth certificate and have parental consent to be married. They must obtain written authorization from a judge of the court exercising juvenile jurisdiction in the county where either party to the marriage resides or a court commissioner as permitted by rule of the Judicial Council. NOTE: The judge shall require that both parties to the marriage complete premarital counseling. This requirement may be waived if premarital counseling is not reasonably available. Individuals requesting a marriage license who are 16 and 17 years of age must provide a certified birth certificate and have parental consent to be married. * A marriage license may be issued at the age of 18 years without parental consent. First cousins may marry if they are 65 years of age or older. If they are between 55 and 64 years of age, the district court in the county where they reside must find that either person is incapable of reproduction in order for them to be married. Any persons related to each other within and not including the fifth degree of consanguinity, except for cousins as stated above, may not be married. 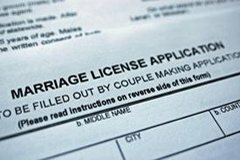 Additional certified copies of your marriage license are available upon request in-person or by mail. * Name of applicants with the same name used by the woman at the time of application.